How did you get started as an image consultant? I had a colour analysis class about 10 years ago with House of Colour, and it really opened my eyes to the difference colour makes to our appearance. When we wear the right colours for our skin tone, we look vibrant, healthy, younger, fresher and more confident. It had a huge impact on me. At the time, I had very little self-confidence and I hated being in the spotlight. I was terrified of public speaking and meeting new people. But after my colour class, I gradually started experimenting with colour, I became more comfortable being visible, and my confidence grew. 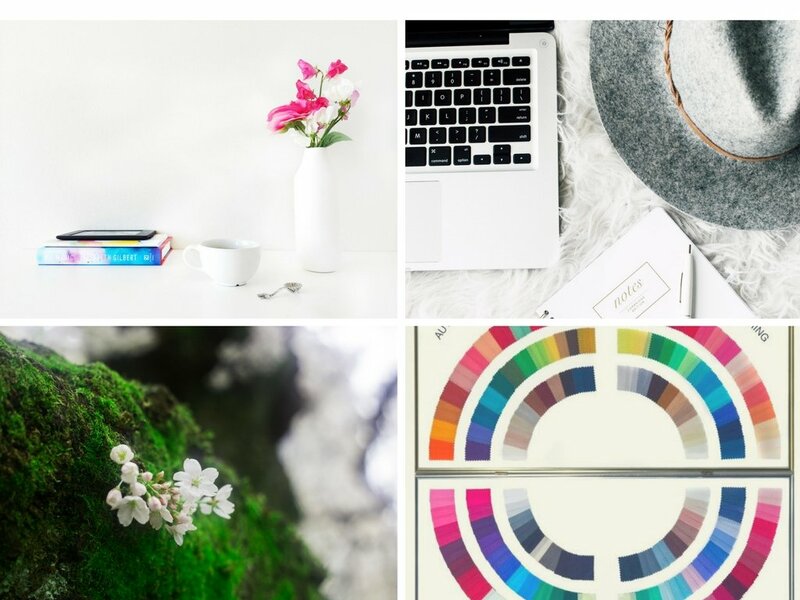 After 10 years working as a civil servant in central government, I decided to leave and set up my own business as an image consultant – to give other people the same confidence and opportunities my House of Colour experience gave me. Without it, I don’t think I would have been brave enough to leave a stable career with a secure income to branch out on my own. So I trained with House of Colour and set up a franchise business with them three years ago, and I’ve never looked back. The best thing is seeing the transformation in my clients and hearing about the impact their House of Colour experience has had on their lives. I help people to feel confident about their appearance, but it goes much deeper than that – because how we look and feel about ourselves affects so many different areas of our lives. I work with everyone – men, women, all ages – but the majority of my clients are mums who need quick and easy solutions to regain their style identity, and business women who want to have more impact and presence in business. It’s amazing to hear that I have helped a client to get promoted, or to have more success in their business, or to be happier and more confident day to day because of the time they spent with me. It doesn’t have to take a lot of time, effort or money to look and feel good about yourself if you have the right knowledge and tools to do it – that’s what I teach people. What I’ve found the most challenging, particularly when I first started, is being solely responsible for every aspect of the business. I went from working in a close-knit team in the biggest government department to working on my own, responsible for areas I had no experience of like marketing and business finances. It took me a while to recognise that I still have a ‘team’ around me – lots of supporters who are happy to help. I’m lucky that my business is a franchise, as I get amazing support from our Head Office and other House of Colour consultants. I also joined a group locally called Damsels in Success, a supportive network of business women, and we meet monthly to work collectively on personal development and business growth. It’s really important when you’re running a business to surround yourself with people who are facing similar challenges and successes. I’ve been lucky to meet some great people networking who I love collaborating with. What is the most rewarding thing about running your own business? I have a really rewarding job, helping people to feel good about themselves and giving them the confidence to shine. But I also love the flexibility of being my own boss, the variety of work, and the challenge of constantly developing new approaches to grow the business. Looking back over the past three years and seeing how far I’ve come, and how much I’ve learnt, is incredibly rewarding. How do you stay motivated to keep doing what you’re doing? I’m lucky with what I do because my clients motivate me. I know there are always more people who could benefit from my help, so that motivates me to keep raising awareness about what we do at House of Colour. So often after colour analysis, my clients say, “I wish I’d had this done years ago!” but they hadn’t heard of it before. I also love problem solving, so I enjoy analysing what’s working well and what isn’t working so well within the business, and coming up with new ideas to test out. There are endless opportunities to experiment, develop and learn in business, so I’ll never get bored of it. The key is to do something you love doing, otherwise you won’t be motivated to work through the challenges of setting up a business. If you’re passionate about what you’re doing, you’ll find a way to make it a success. Also, find a support network or a mentor, do as much personal development as you can, and ask for help and support whenever you need it. Best advice you have received about starting your own business? To spend your time doing what you enjoy doing and the business will take care of itself! When I first started the business, I used to run myself into the ground trying to do everything I thought I ‘should’ be doing. I wasn’t enjoying half of it and I wasn’t getting results. Once I stopped doing so much, and focused on enjoying the business, that’s when it started to take off. Your business is your own, so manage it how you want, in your own way. Finally, what makes your heart sing? I love being around other people, so I really enjoy the time I spend with clients. I do a lot of socialising and networking (I’ve come a long way since my ‘invisible’ pre-colour days!). Outside of work, I love spending time with friends and family, travelling and exploring, and languages (I speak French and Spanish). Also, new experiences and variety keep me happy, so I love living in London where there’s so much to do. I’ve been living here for 13 years now and there’s so much of the city I still have to explore. It was a pleasure to interview Ali for the women in business series. She’s such a kind, thoughtful and motivational woman who really embodies what this series is about. What did you learn from this interview, let me know in the comments below! As always, thank you for reading and don’t forget to subscribed!